Unfiltered, masterfully aged, low production. 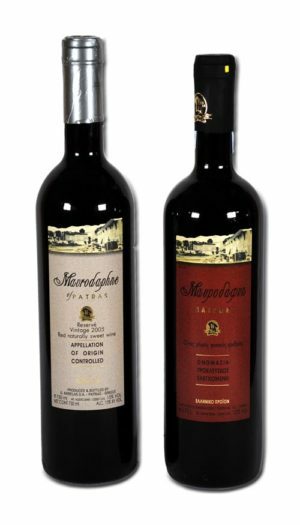 Mavrodaphne Karelas: Highest Rated Greek Mavrodaphne with the most and highest awards in International Wine Competitions! When only the best will do, Karelas makes it. WITH THE ADDITION OF MAVRODAPHNE! almost extinct Greek variety Malagousia. Enjoy the Art of the Karelas Winery.